SYS Systems is ready to reveal how its technology is playing a vital role in the future of international medical manufacturing. Part of the Derbyshire-based Carfulan Group, SYS will join more than 900 industry professionals from around the world at Medtec Ireland 2017 on October 4 and 5. As well as being a hub for market updates, news and more, the show is one of Europe’s biggest and most popular for showcasing suppliers of medical technology products and services. Experts from SYS, the UK’s platinum partner for Stratasys 3D printing technology, will perform live demonstrations using the very latest 3D printing innovations. The business already works with clients like Medtronic, where an SYS Fortus 3D printing machine has been used to help perfect a ratcheting counter-torque instrument that surgeons use to fasten screws to corrective implants on a patient’s spine. On display at Medtec will be the latest Stratasys FDM F370, part of the F123 Series launched earlier this year and which uses Stratasys-pioneered Fused Deposition Modelling (FDM) technology to enable manufacturers to create prototypes on-site. FDM is the only professional 3D printing technology to use production-grade thermoplastics, meaning printed parts are ready for end use due to their unrivalled mechanical, thermal and chemical strength. 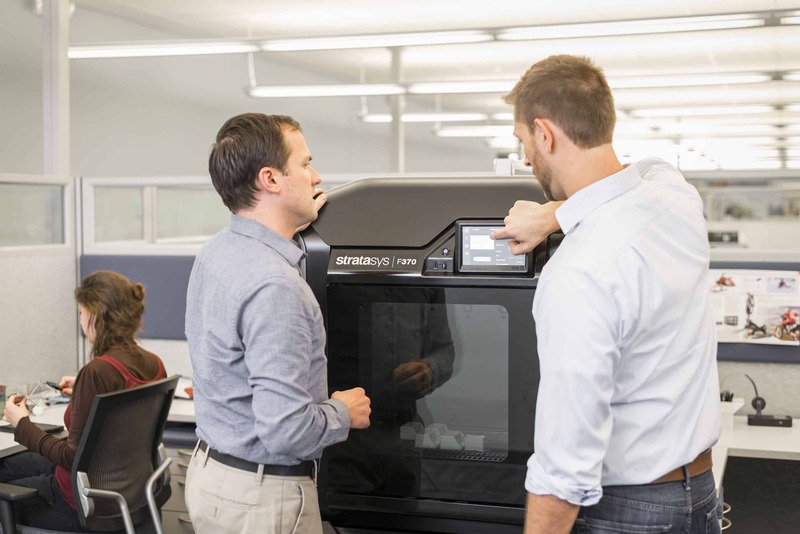 Combined with design-to-print GrabCAD software, the F123 series offers businesses the most intuitive solution available, allowing accurate and high-quality prototypes to be printed faster and products brought to market quicker.